Hotel Sonne, Küsnacht, where Jung delivered these seminars. Edited by Ernst Falzeder. Translated by Ernst Falzeder with the collaboration of Tony Woolfson. 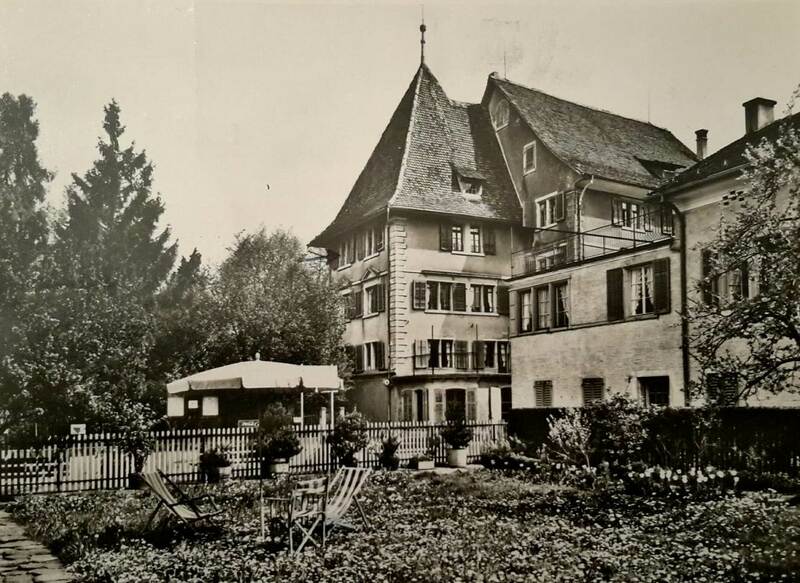 In the early 1930s, Jung gave an intensive series of seminars and lectures in the German language, of which this German Seminar held in the fall of 1931 in Küsnacht at the Hotel Sonne is a part. Shortly after stopping work on the transcription of the text of The Red Book into the calligraphic volume, Jung turned to study parallels he could find in the individuation processes of his patients. Here, he focused on the products of the collective unconscious, as produced by the practice of active imagination in the form of visions, dialogues and paintings. In addition to his mythological amplificatory resources, he also explores the parallels offered by Tantrism and Kundalini yoga, which he was then exploring, taking up the connection between the spontaneous contemporary products of the individuation process in the West and esoteric traditions in the East. The Seminar is an essential element of Jung’s explorations into these areas. This will be the first of Jung’s German language seminars to appear in English.